"POW MIA Address Labels" product is already in your cart. 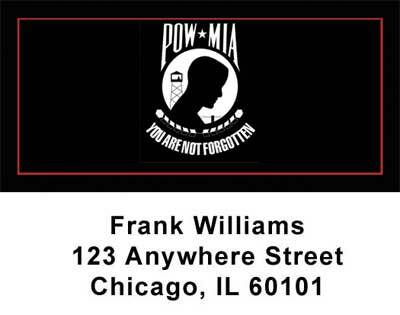 Show your patriotism whenever you use POW MIA Address labels. Prisoners of war and soldiers who are missing in action should not be forgotten. POW MIA Address labels are self adhesive. Matching checks are also available.